You’re about to learn the #1 technique that will reveal why you are in complete control of how your body looks and if you apply this one technique diligently and consistently than you’ll end up with the best body of your life. 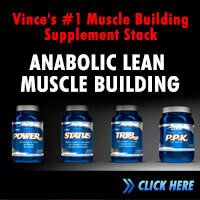 Interested in getting bigger and leaner in less time? 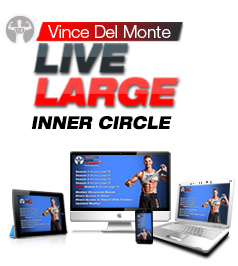 Make sure you click here to watch this free presentation for hardgainers to build muscle! We’ve all been there. The countdown to firm up your body, trim the fat and drop those last 10 pounds before a big event. Let’s assume that you have 2 weeks until you have to get ready for [insert the name of your big event here] and you’ve been working harder than ever to achieve the look you want. On top of your workouts, you are doing your best to make sure your diet and nutrition is right on target. There’s no room for thoughtless decisions this close to your deadline. How do you achieve that goal in a healthy way? This rule works extremely well when you’re working against a deadline whether your a beginner or seasoned workout warrior. Whether you’re trying to build muscle, stay motivated or lose fat for that special event…this rule is extremely powerful and realistic. Tip #1 – Ask yourself one question – every single day you make choices in your life. So on a minute-to-minute basis you need to ask yourself if the choice you are about to make is going to HELP your progress or HURT your progress. It’s that simple. The more “Help” decisions you make – the faster your progress, the sooner the results and the easier it is to stay motivated and create momentum. The more “Hurt” decisions you make – the further you move from your goals, the slower the progress and the harder it is to stay motivated. Tip #2 – Stop stressing about the little details – use common sense when you’re faced with a nutrition or workout decision. Just ask yourself, “Will this decision hurt me or help me?” You’ll be surprised that you hold the answer to many of your own questions. Unless you want to become a professional model or bodybuilder, most people have enough workout and nutrition info to get them within 10% of their goals by just applying the Help-Hurt Rule. You get the idea. Choose more Help decisions instead of Hurt decisions to move you closer to your goals and you’ll get your best body ever. I want 100 comments before I share my next breakthrough success tip. Tell me if that tip was helpful or not by posting below. P.S. 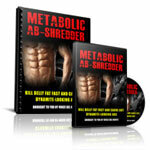 Interested in getting bigger and leaner in less time? 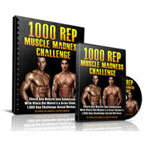 Make sure you click here to watch this free presentation for hardgainers to build muscle! So true, for the last 4 years I’ve been following your programs as well as many of your friends programs. By this time i feel i know exactly how to reach my goals but i’m always second guessing myself every time someone brings out something new. But this blog has now given me the confidence and train of thought i need to reach my goals by trusting in myself. 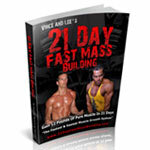 This will be a valuable tool in my muscle building journey. Such a basic, yet wonderful tip. People should apply this to their health goals, relationships, careers, etc! Thanks Vince and Flavia! i’ve been throwing around the idea of buying in the no-nonsense muscle building. the main reason i havent yet is i work on the road and am kinda worried about my meals i dont really have anywhere to fix anything to eat in the motel room. do you have any suggestions for things i could fix easily so i can start my transformation? I am looking for a contest to enter. are there any online contest out there? And how do you find out the GI and GL of each food? It’s so simple and that’s why it works. Vince how do you manage to constantly change your weight class? I see some pics of you looking bigger then others of you more shredded and leaner what is your secret? I have a question for you in your ‘most recent interview’ blog post. Wow, you guys are looking great. This is fantastic advice. I’ve just put up some “Help-Hurt” signs around my house. I can’t think of anything more straight to the point and effective than making each choice count. On a side note, Flavia is clearly coming in to her own and I’m thoroughly impressed watching her journey. Both of you inspire me. Thanks as always Vince for sharing your knowledge. First of all you and Flav look awesome!! About the comment that you look awkward you do look excited to be on the cover but it’s more like you don’t know what to do with your arms, your right hand on your waist would have done the trick but trust me that is not what we girls look at 🙂 hehe. About the trick I try to apply it as often as I can but I do still have to work on that as I tend to go and buy something fatty or sweet if I feel stressed or angry.. Thank you! By the way: YOU LOOK GREAT; as ever! You always look so nice, but in that cover photo the photographer has done more than his best! Congratulations to both of you, Vince and Flavia. 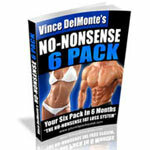 Vince, I actually like the way you look on this cover better than the way you looked for the last contest. I’m not into that totally shredded look. Now, you look fit, strong and healthy, without a drawn in face. Thanks Steve. The look on the cover is how I would look if you saw me at a pool party. That’s my “normalized” look. I only dieted about 3 weeks for that shoot. My contest look is an entirely different story and not my “normalized” look. I wish! Any specific tips you looking for Jeremy? Can really tell your bulking again for your next comp. I guess ideally bulking isn’t the best place to be for a cover. I think you want to work on your body language too dude. your misses has it nailed. hand on hip = confident, perfect smile! you look awkward like you don’t know what your doing. Practice!!! no doubt you’ll land more. congrats. Congratulations to both of you on getting the cover! Excellent! Powerful and realistic! Like you said we all hold the answer to many of our questions. Definately the way forward! First of all well done to both of you for the cover. You both are an inspiration. Great tip there, I think it is the most important tip that can be applied in every situation in life. Great tip, works soo well! Very much like Anthohy Robbins pain/pleasure rule but applied to fitness goals, creative – like it!! @Chris. I won’t lie – my wife has 10x more discipline with her diet than I do. When I’m not dieting, it’s VERY hard for me to not eat everything in sight. An area I’m striving to grow in. Flavia has EXCELLENT mind-muscle connection when she trains her abs. Something i need to improve too. Great tip Vince! I definitely need to apply that more.. And congrats on the cover! Looks great! Couldnt tag myself… but you guys look superfab though!!! Cheers & thanks for everything! If you want to gain lean muscle then you should be having a minimum of 1.5 grams of protein per pound of bodyweight. If you read 10 different sources, you’ll get ranges from 1-2 grams and I recommend 1.5 as a minimum. Star here and measure your progress Pieter.